Being the richest man in Europe is not a title that comes easy, and Bernard Arnault has worked his way to the top since his first purchase in 1985. Turning $15 million into the world’s largest luxury-goods company is not a feat to scoff at. This French legend of the world is regarded as the richest man in his industry. Taking his father’s business and turning it into something that was beyond their expectations, Bernard Arnault is an icon of epic proportions. As a renowned businessman, arts collector and entrepreneur this billionaire turned all things he touched to gold. becoming the Chairman, for Bernard to replace his father as the president of the company. Marchè department store. Christian Dior would become the launching point of the company’s shift into luxury goods. In 1989, using all the money acquired from the sale of all those assets, Arnault purchased a controlling stake in LVMH group formed through joining of Moët Hennessy and Louis Vuitton. 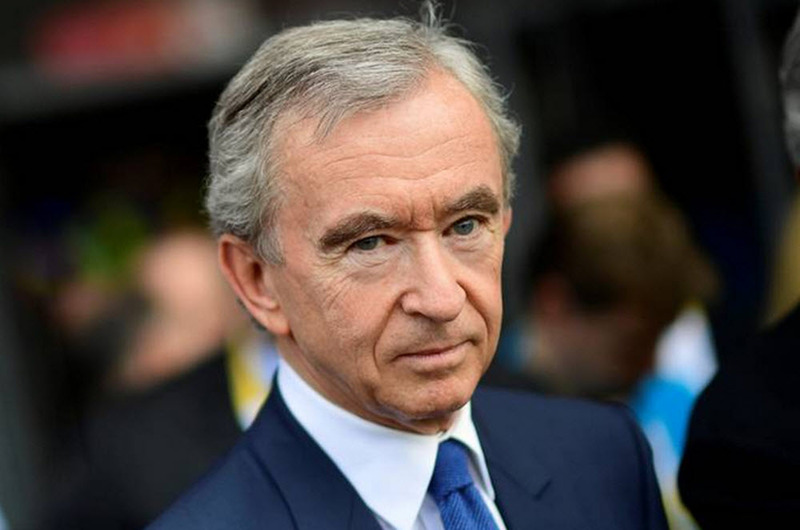 Mr. Arnault has been the CEO and Chairman of LVMH since 1989. Since he became CEO and Chairman, Arnault has led the company through an ambitious development program, transforming this already big company into one of the largest luxury groups in the world. Countless acquisitions only grew the company into the industry leader we know today. Currently LVMH and Arnault own: Fendi, Louis Vuitton, Moët Hennessy, Céline, Christian Dior, Givenchy, Marc Jacobs among others in the fashion world. Fenty Beauty by Rihanna and other cosmetic and perfumes companies, retail chains such as Sephora, watch and jewelry brands like Tag Heuer and Bulgari and wine and spirits giants like Moët & Chandon, Hennessy and Dom Pérignon. Never being satisfied with standing still, from 1998-2001 Arnault invested in a variety of web companies such as Netflix. In early 2007 he purchased French economic newspaper Les Échos, also in 2007, Arnault acquired 10.69% of Carrefour, France’s supermarket chain and world’s second largest food distributor, in 2008 he purchased Princess Yachts. According to Forbes, Arnault sits as the 4th richest man in the world in 2018 with $80.7 Billion net worth. With an art collection including works by Picasso, Yves Klein, Henry Moore, and Andy Warhol. Mr. Arnault remains the CEO and Chairman of LVMH and President of Board of Directors of Groupe Arnault S.E (his family holding company). Mr. Arnault now resides in Paris’s Left Bank with his second wife Helene Marcier.